Making quick and easy family dinners is a great way of teaching your teen a responsibility. Giving teens jobs around the house not only helps a busy family get daily activities accomplished, it builds a sense of responsibility and accomplishment in teens, which thereby adds to a healthy self-esteem. When you first have your teen make dinner, you should start slow. Having your teen begin making the meal and you finish it is the most popular way I’ve known for parent to get their teens to cook and like it. Or you could both work together through the process, just be sure to hand the real responsibility of the meal over to your teen in order to get the full positive results. 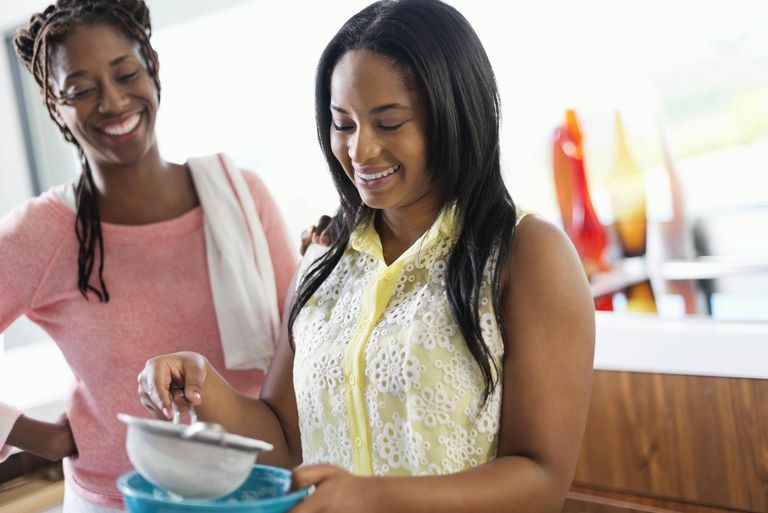 As time goes by, allow your teen to take over the entire meal preparation process. A word of caution, do not expect your teen to do this every night. While you may need the help to start the meal more often, being responsible for the meal once or twice a week is antiquate for teaching responsibility to your teen. Meatloaf is easy enough for teens to make and a great family meal. One teen girl who I taught how to make meatloaf used many different variations on basic meatloaf over the years. None where ever so bad that we couldn’t eat it. Chicken pieces have to be one of the easiest meats to cook. Shake and bake them or douse them with barbeque sauce - either way they go in the oven, cook and taste good. Instant happiness all around. Spaghetti and meat sauce is a little more challenging. Your teen needs to brown and drain the meat, add sauce and simmer. Then he needs to cook the spaghetti, which can be difficult. Do this dinner recipe idea with your teen the first and possibly the second time, until he gets the hang of it. Hot dogs are simple to make and fun to eat. Your teen can try some different recipes for hot dogs as he gets more accustomed to the kitchen. Pizzas, whether frozen or homemade, are the teen favorite. Find a good choice on our Kids Recipes: Pizza Index. Salads are a non-cook healthy recipe for a dinner side dish. Just chop all of the fixings and toss in a bowl. Your teen can do this. Frozen vegetables can be made in a microwave. This is the perfect side dish for the kitchen-challenged teen. French fries are a very simple dinner recipe favorite among teens. They go with just about everything and they are very hard for your teen to mess up. Teaching your teen to cook may result in a dinner that is not edible. Have a back up meal planned. While your teen isn’t going to be happy that he messed up making dinner no matter what, you still have to deal with everyone being hungry. My weekly dinner plan goes like this: Wednesday, a teen cooks; Thursday, we have a meal that does not need cooking, like hoagies or club sandwiches. If Wednesday’s meal gets ruined, I pulled out Thursday’s meal. Then we try again next week.